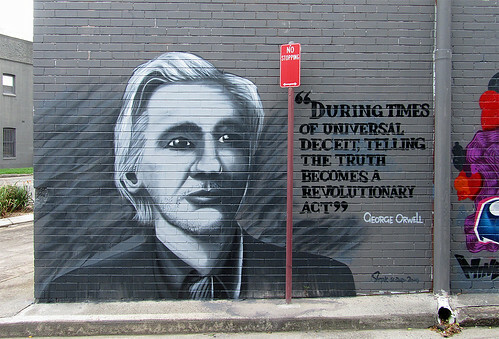 Happy birthday to George Orwell (25 June, 1903 – 21 January, 1950)! Oh, snap! I was thinking and talking about him the other day as I'd just discovered that he'd lived for a time in Hampstead. A hero of mine. How very cool! He's a hero of mine, too. I re-read this a few months ago, probably for the first time since high school. It's astonishing how much it reflects today's world. This man had more wisdom than many gave him credit for. We may wish his vision of the future was a fancy, but it was apparently more prophecy than pipedream. I'm glad his work is still being read, it needs to be. A heartfelt "Yes!" to everything you just said!